The one bloody day I take off work, I miss out on meeting my dream man. Ain’t that just the way the cookie crumbles. RUSSELL BRAND was here. For all of my imaginings, he was actually within in my reach. I could have touched him, like Merrick here. I could have met hs eyes. I could have spoken to him. I could have cracked a joke and told him about my dream, in which he and I were two of the few survivors of a scary natural disaster and he met my mum, and we made friends with a chiwauwa. That was a great dream. We really bonded, even though we kept getting hit by tsunamis. 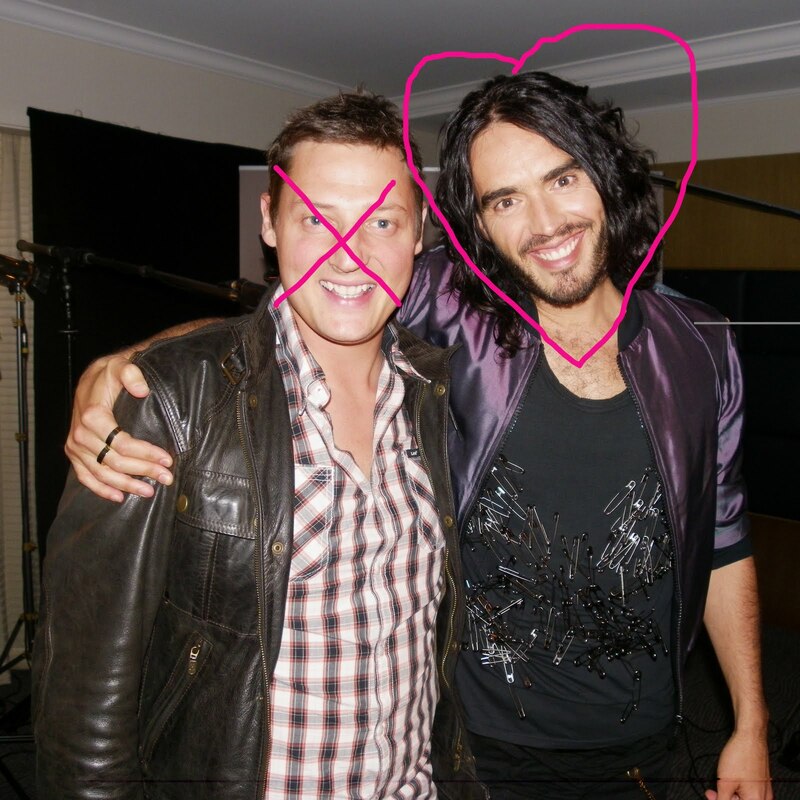 The fact that I took a day off work on Friday, means Russell Brand still doesn’t know I’m alive. How tragic is that? How utterly, soul-destroyingly awful. I might not get a chance to meet him again. Or rather, he might not get another chance to meet ME. We’ll continue on our separate paths, he’ll marry Katy Perry in October and then it will all be over. Unless I write another book – about him – so he has to read it. (I have actually considered doing this). Yesterday when I was walking down the street, a man yelled out ‘Katy Perry’ in my direction, which was kind of cool because of course, Russell likes Katy Perry a lot. Would he have thought the same thing, even for a second? Would he have swapped his American popstar for her British doppleganger (with bigger thighs and less straight teeth and zero money and no house and no record deal)? I WILL NEVER KNOW. Waaaaa. I don’t even know why I’m so infatuated with a former heroin junkie who spouts Dickensian nonsense at every opportunity, in black skinny jeans. But I am.